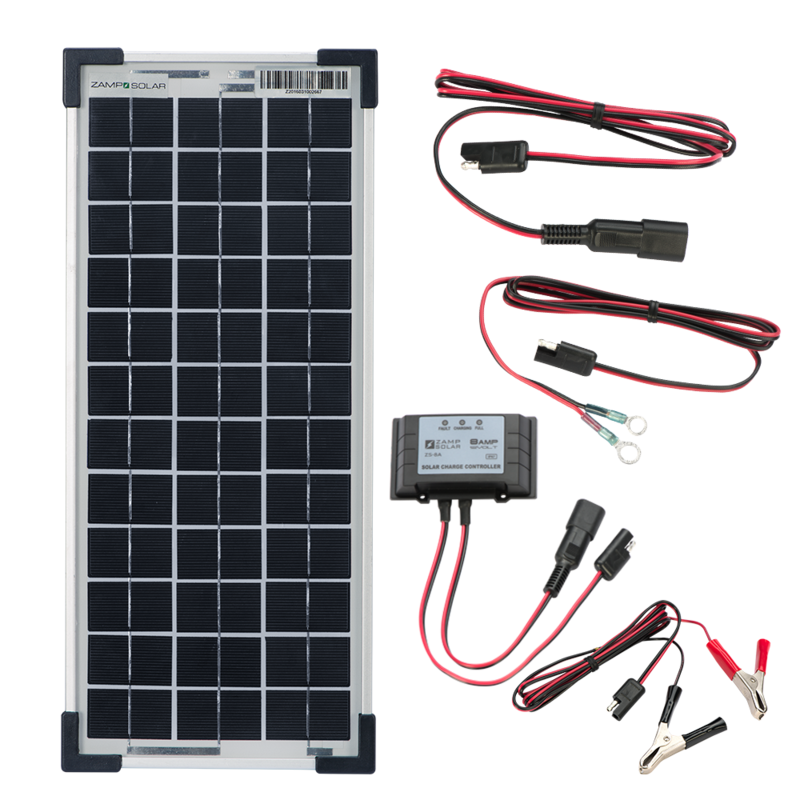 Build your own solar maintainer to extend your battery’s life and make sure you never find a dead battery before your next adventure. 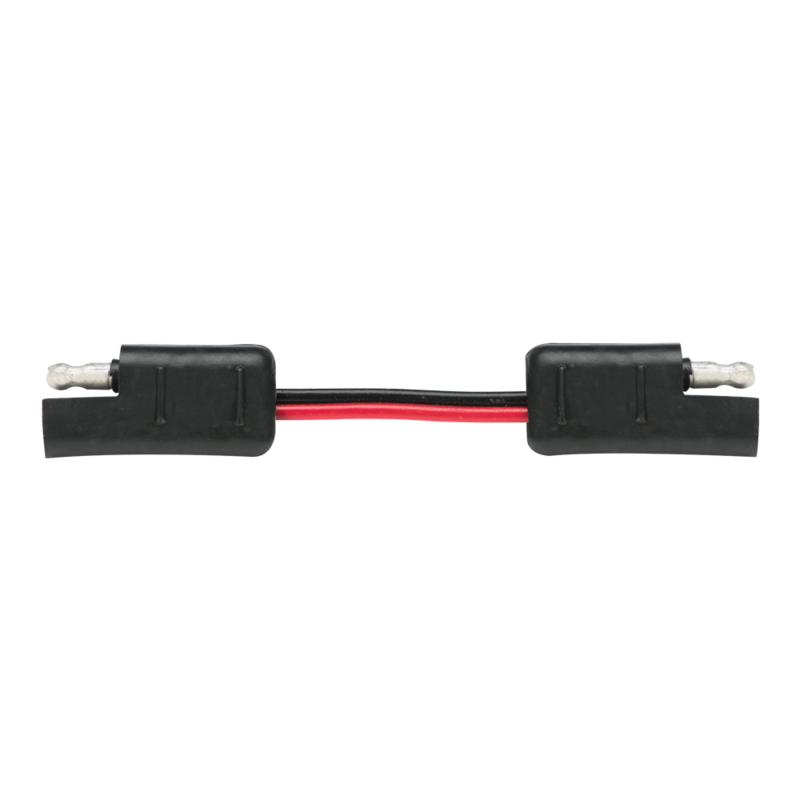 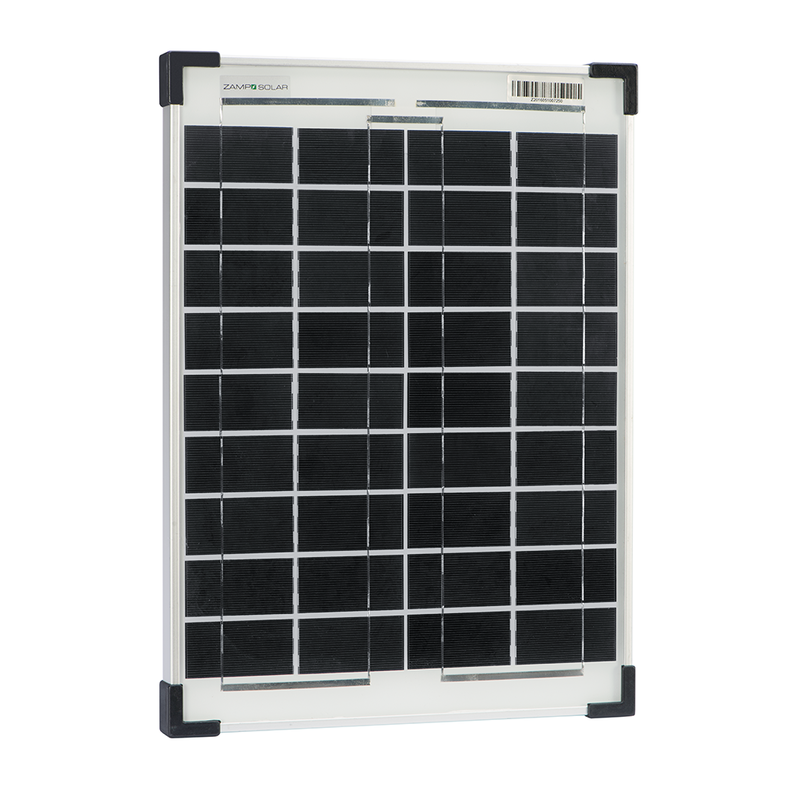 Choose from a variety of panel sizes and connectors to create a system that works for your needs. 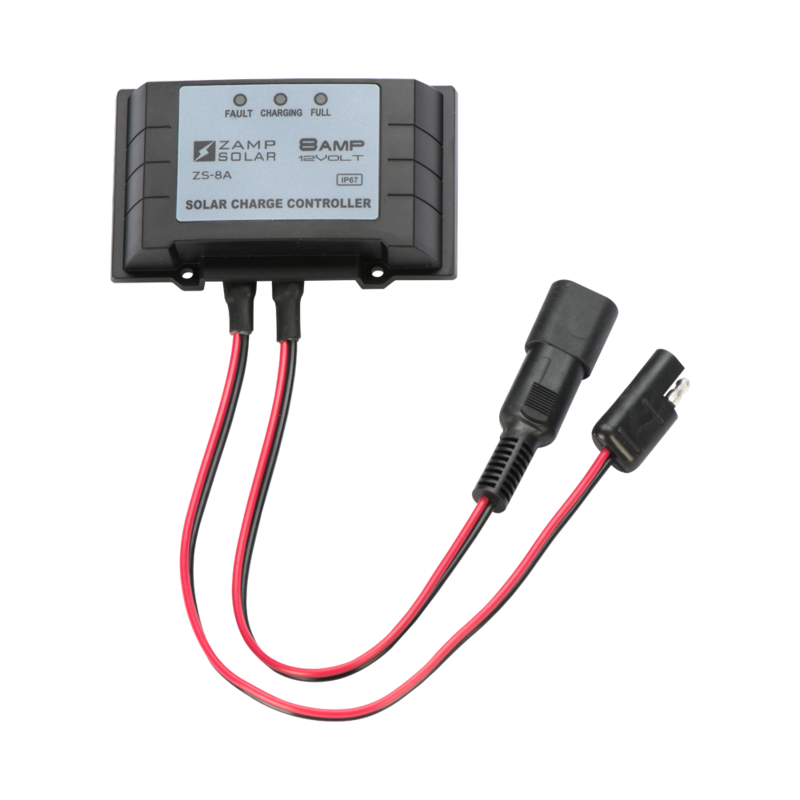 For a Zamp sidewall solar port, use the sidewall port adapter AND either the 5-foot or 15-foot extension cable. 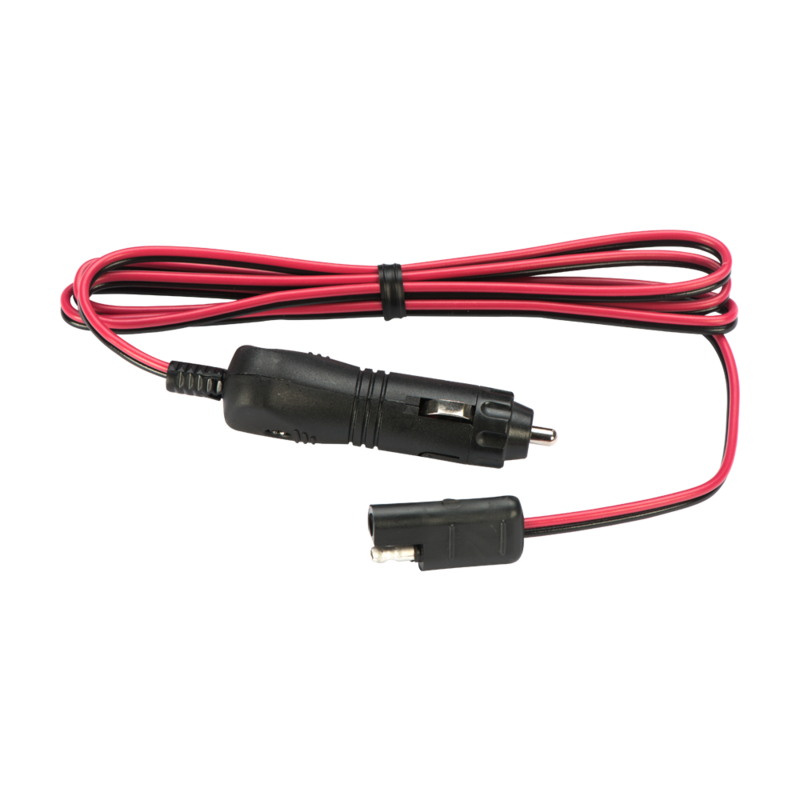 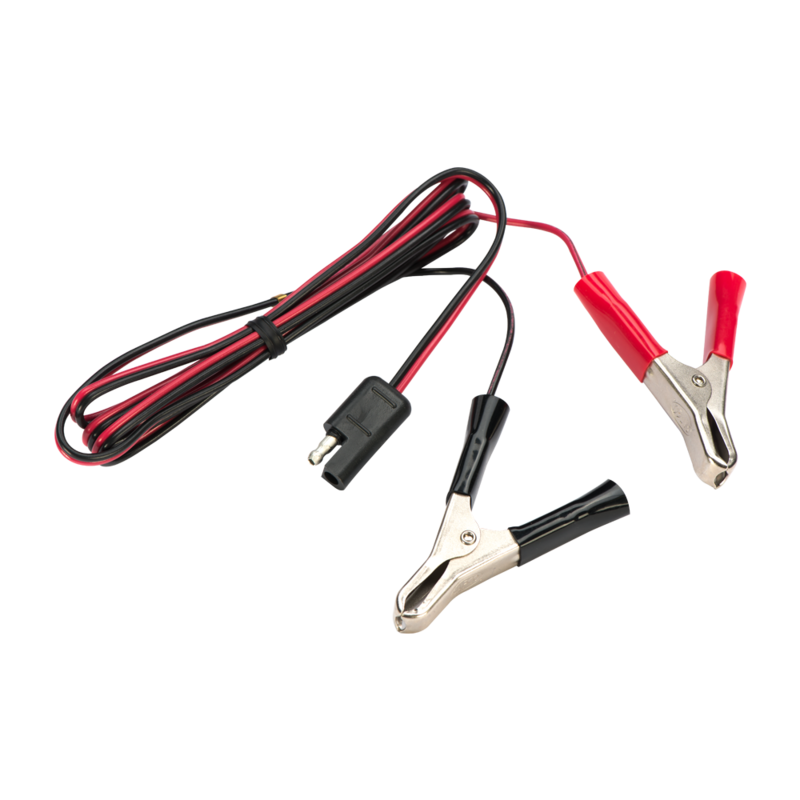 To connect straight to the battery, use either the alligator clip cable, the ring terminal cable, or the cigarette adapter cable.